LAREDO, TX -- Human smugglers try every trick in the book to sneak into the United States, and an attempt Thursday to get across the border in a fake cop car shows how far they will go to conduct their illegal trade. The U.S. Border Patrol says a human trafficker tried to smuggle illegal immigrants in a cloned Border Patrol Tahoe. 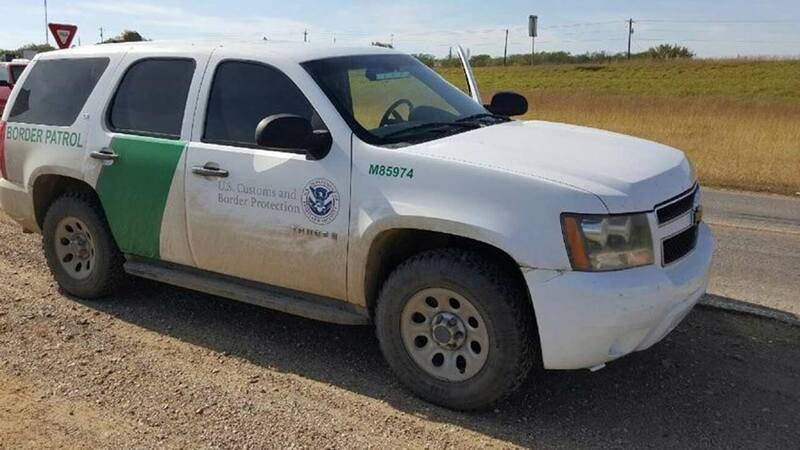 According to the Border Patrol, to the casual observer, the vehicle looked real, but an agent thought it was suspicious and the SUV was stopped near the 65-mile marker on I-35, near the Cotulla Border Patrol Station. 12 illegal immigrants were in the vehicle and the driver was arrested. Mario Martinez, the Chief of the Laredo Sector, said it's common for traffickers to use elaborate methods to get into the US. "As we continue to monitor security along the border and in adjacent communities, smugglers have resorted to desperate measures to conduct their illicit business. The training, attention to detail and vigilance of our Border Patrol agents halted this human smuggling attempt."